Enhol is a fourth-generation family business group with a strong corporate culture present in 7 countries through local offices, committed to sustainable development, with society’s human rights and labor standards and with the environment. The Enhol Group and its professionals share the will to produce energy in a sustainable manner that is sustainable over time and non-polluting. This common interest is evident in a work environment designed for the personal and professional growth of employees, true partners in the evolution of the companies in the group in which they carry out their work. Promotion of motivation, guaranteeing continuous training, so as to maximize the power of each worker. Communication between management and work teams. All those initiatives that allow an effective intercommunication between all the estates of the companies of the group are valued. Maximum attention to everything that concerns the job security. At present, Enhol Group is made up of more than 50 people from very different professional profiles: engineers, economists, lawyers, management team, security technicians and many more, making up a network of gears that make possible the constant evolution of the company. In Enhol Group we collaborate with social works such as those promoted and organized by “la Caixa” Obra Social through its Business Alliance. 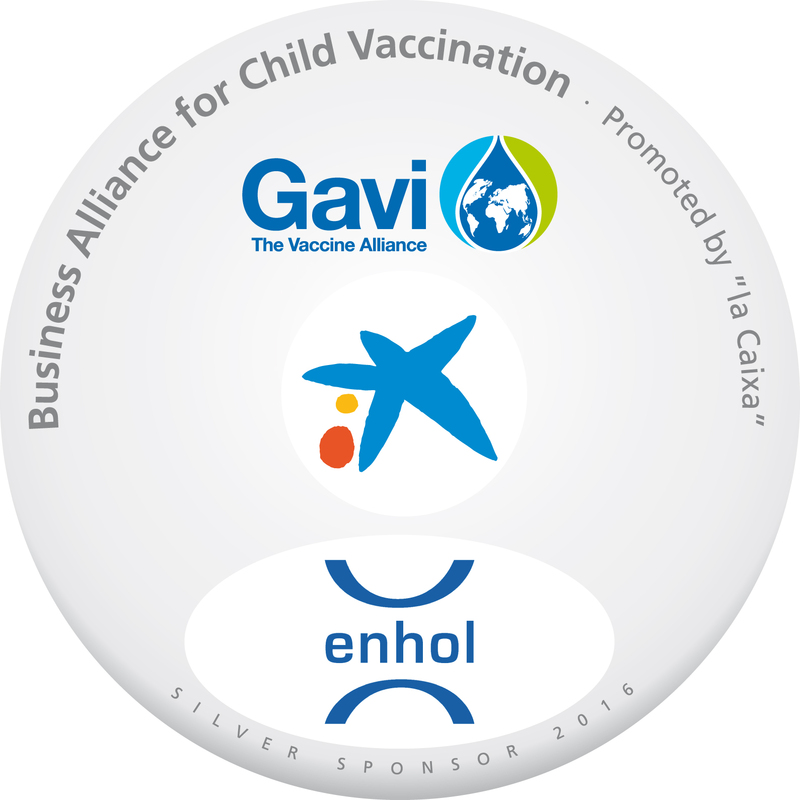 We are Silver Sponsor for children’s vaccination, an initiative of “la Caixa” and Gavi the Vaccine Alliance with the collaboration of ISGlobal. Our funds will be used to distribute the pneumococcal vaccine in Mozambique. This vaccine protects the child population against pneumonia, the main cause of mortality in children under five, thus helping to combat child mortality in the world’s poorest countries. Thanks to Grupo Enhol’s contribution to this initiative, the “la Caixa” Obra Social and the Bill & Melinda Gates Foundation will double with parallel contributions the funds donated by the private sector. Our contribution is thus quadrupled in order to achieve the goal of reducing child mortality.